Is Barry Levinson making a movie about tongue-eating parasites? Vague reports about Barry Levinson's new science fiction film Isopod have led us to hope like we never have before. Will the nasty parasites that bite off the tongues of fish FINALLY be getting their own feature film? Of course this is all wild speculation and wishful thinking at this point, but we have been holding out hope for a tongue-eating parasite film forever. What could it be, we have no idea. 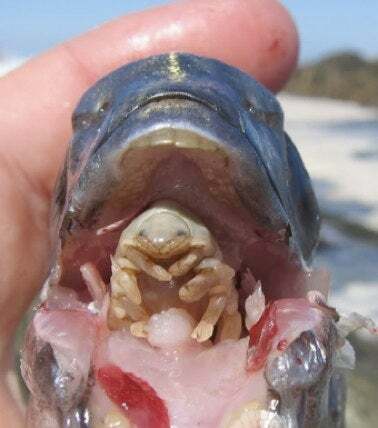 But the famous tongue-eating fish parasites that crawl into the mouths of their fish victims, biting off their tongues and replacing them with their own bodies, were an internet sensation a while back. Or the film could just be Giant Isopods Attack, which is nice too — but we're rooting for the tongue-eaters.